Amethyst Crystals, Herkimer Shape, jewelry quality. Origin: Russia. (Set of ) Size: 3/8" to 7/8". Total wt: 7 grams. 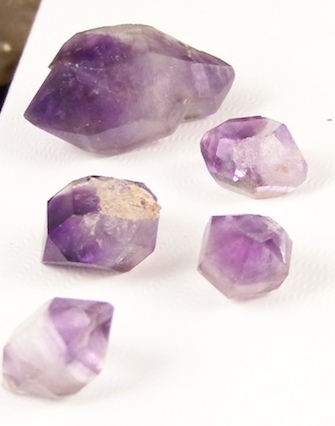 do you have any Amethyst Herkimer left in stock?